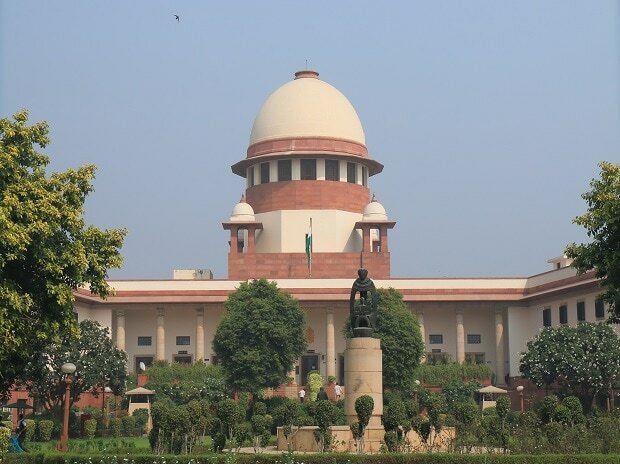 The Supreme Court is scheduled to pronounce an order today on whether to refer Ayodhya's Ram Janmabhoomi-Babri Masjid land dispute case for mediation for amicable settlement. A five-judge Constitution Bench headed by Chief Justice Ranjan Gogoi on Wednesday had reserved the order after hearing various contesting parties. While reserving the order, the court had said that the parties involved in the case may suggest names of mediators for consideration if it orders mediation on the dispute. Read more. Prime Minister Narendra Modi is scheduled to visit Varanasi, Kanpur and Ghaziabad in Uttar Pradesh today where he will unveil multiple development projects for the state. At Varanasi, the Prime Minister will visit the Kashi Vishwanath Temple where he will lay the foundation stone for the temple approach road beautification and strengthening project. PM Modi will lay the foundation stone for Agra Metro Rail Project. Click here to read more. National carrier Air India's Board will meet today to decide on the issuance of bonds up to Rs 7,000 crore through private placement. The company, which is reeling under a massive debt burden of around Rs 55,000 crore, requires the sum to pay of its lenders and for working capital. Click here to read more. Today, on the occasion of International Women's Day, Indian air passenger carriers including Air India, Jet Airways and SpiceJet will operate all-women crew flights. Air India will operate 12 all-women crew flights on its medium and long-haul international routes and over 40 return domestic and short-haul flights all over India. According to the airline, the women cockpit and cabin crew of Air India will be operating both wide and narrow-body aircraft. Read more. President Ram Nath Kovind will present the Nari Shakti Puraskar, the highest civilian honour for women in India, at the Rashtrapati Bhavan today. The awards for 2018 will be presented by the president at a special ceremony on the occasion of International Women's Day. This year, around 1,000 nominations were received by the ministry and 44 were selected for the award, according to an official statement. Read more. Congress president Rahul Gandhi is scheduled to visit Koraput district today and address a public meeting at Jeypore. Before addressing the rally, Gandhi will interact with women at Sibasai Kalyan Mandap on the occasion of International Womens Day. Gandhi will be accompanied by Chhattisgarh Chief Minister Bhupesh Baghel. Today's tour will be Congress president's third visit to Odisha in a span of two months. Gandhi had addressed a public meeting at Tomando near Bhubaneswar on January 24. Click here to read more. The Delhi High Court will hear today the plea of the producer of the Bollywood movie "#MeToo" challenging the censor board order asking him to change the movie name. Justice Vibhu Bakhru will hear the plea. The plea was filed by producer Sajid Iqbal Qureshi who has sought the setting aside of the November 12, 2018 order of the Central Board of Film Certification (CBFC). Read more.